Since moving to the UK, Manchester has been my new hometown. And man, do I love it here. 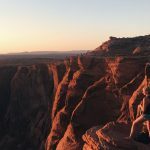 The people are super friendly, the pubs are good and the city’s got so many amazing spots to offer that not everybody knows about! Today I’m collaborating with Hotels.com to share some of my favourite hidden gems in my city. If this post makes you want to visit the city yourself, please check out these great hotels in Manchester. 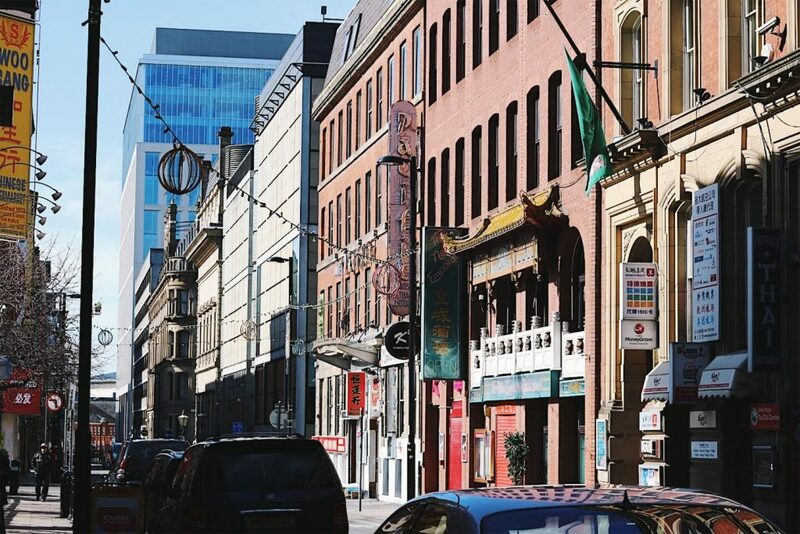 China Town isn’t very big, but it has a great variety of shops. I always love walking through it and exploring the small street. Of course, there are the Asian supermarkets with tons of exciting stuff, but my favourite is the Art and Craft shop, located near the Arch. There are also tons of great places to eat – Wasabi being my favourite. 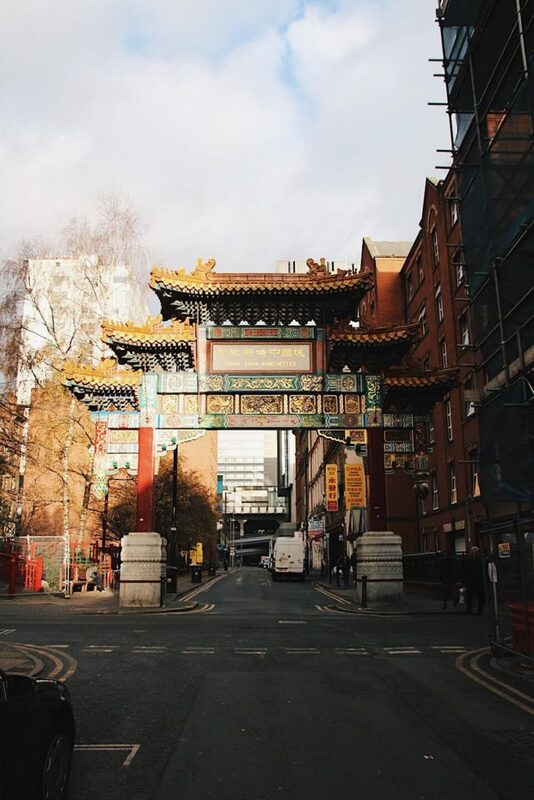 The Northern Quarter is by far my favourite place in the city centre of Manchester. This part of the city is filled with tons of independent shops, cafes, and bars. The whole vibe screams creativity (especially looking at all the amazing street art everywhere). 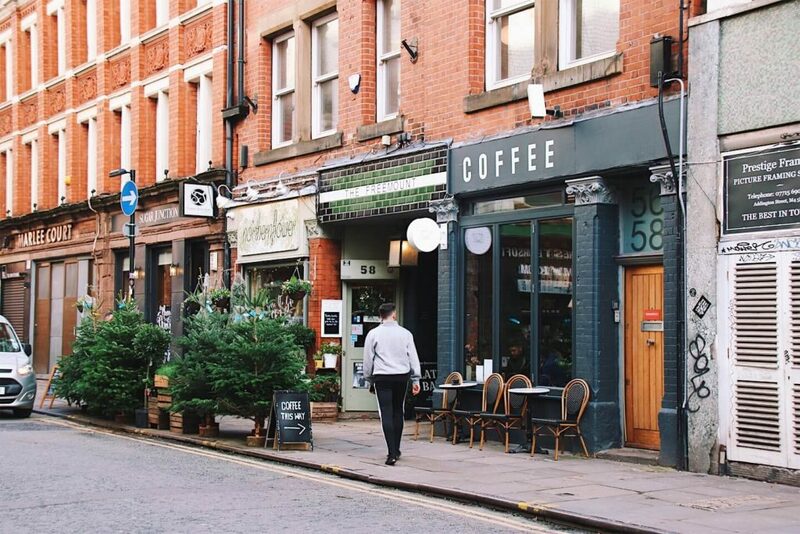 If you ever find yourself in Manchester, make sure to stop by for some vintage shopping, an amazing cup of coffee and an exciting stroll around. We went to — for a quick stop to drink a cup of coffee before heading to Cow – one of my favourite vintage shops – and a walk through the famous Afflecks Palace. 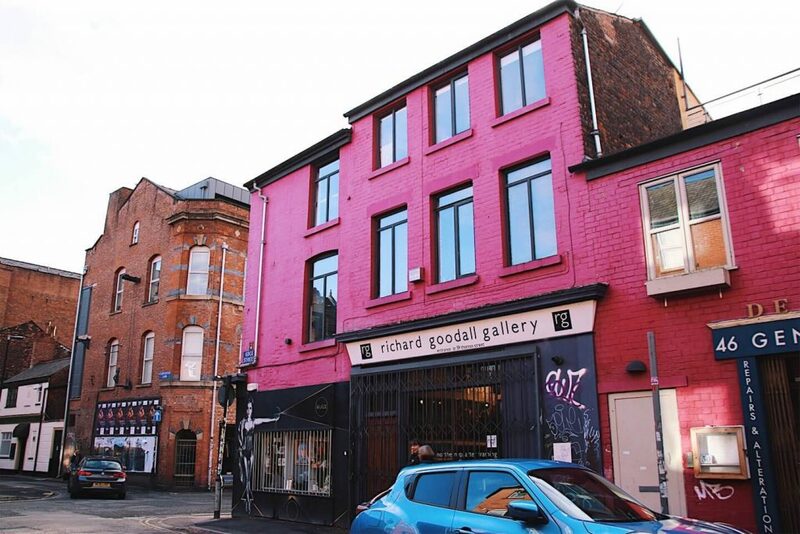 This building is filled with independent shops where you can find the craziest things. I adore it so much! 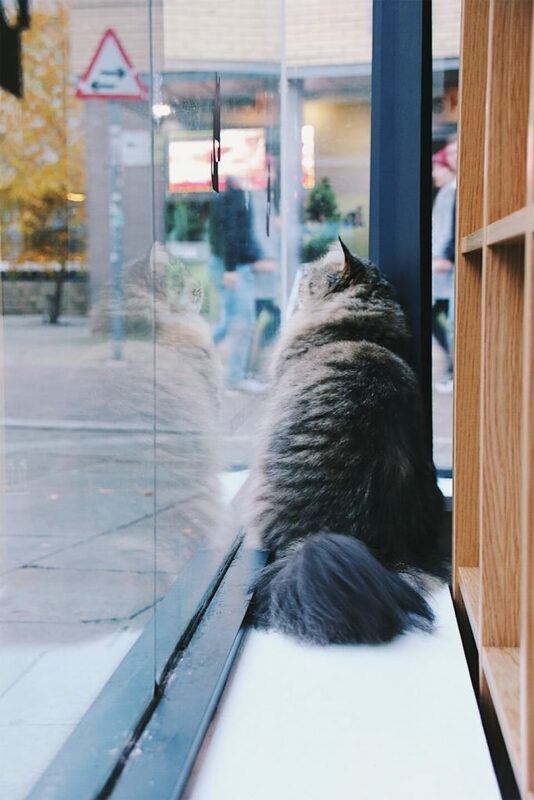 There are tons of cafes I love and would love to recommend to you, but if you’re only in Manchester for a day (and you’re not allergic to cats) you should definitely check out the Cat Cafe. 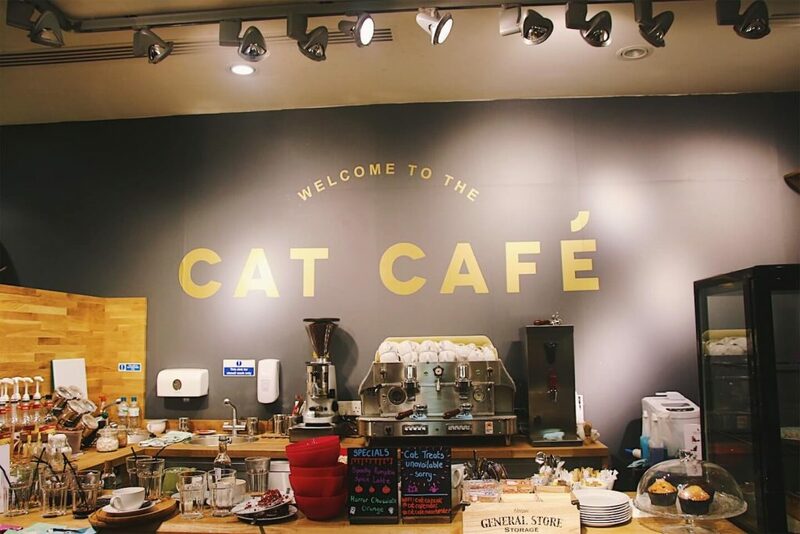 This cafe is perfect to sit down, de-stress and enjoy the company of many fluffy cats. 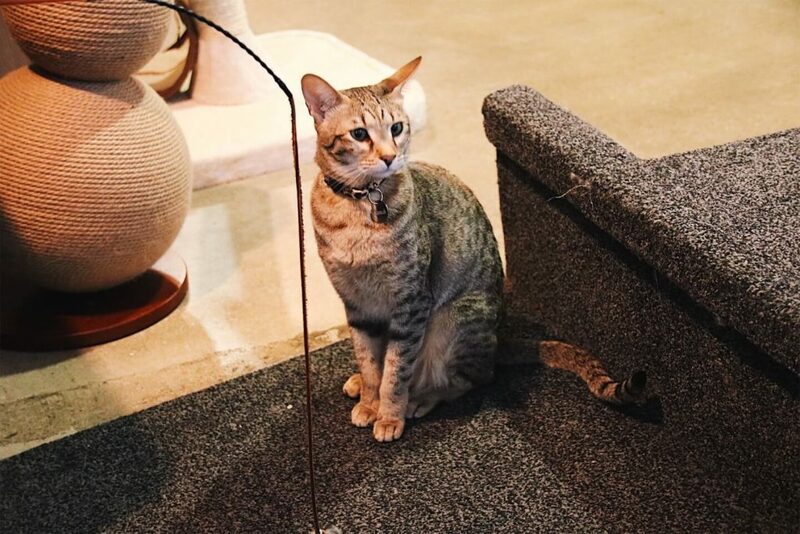 For only 12 pounds you get to spend a full hour with the cats, plus unlimited drinks are included! They also have special events as Yoga with Cats or Movie Nights, but all of that is on their website. It’s such a unique place in the city centre! Fancy something affordable and quirky? 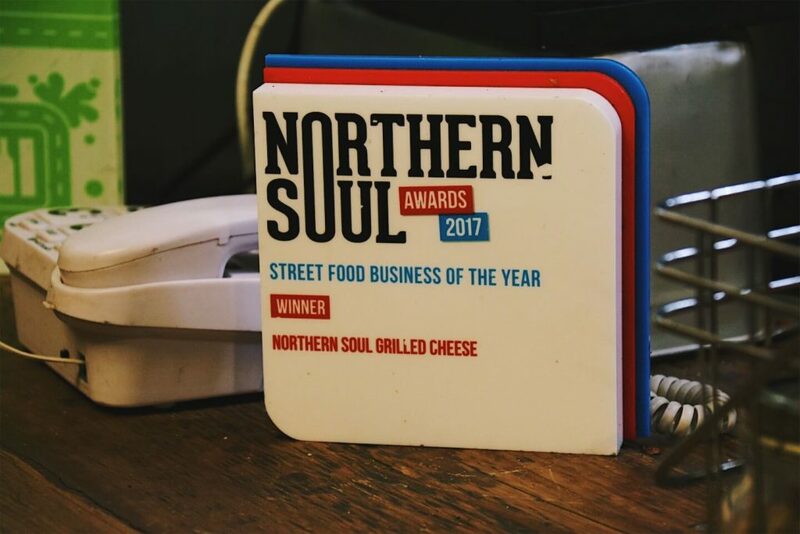 Northern Soul is the place to go. 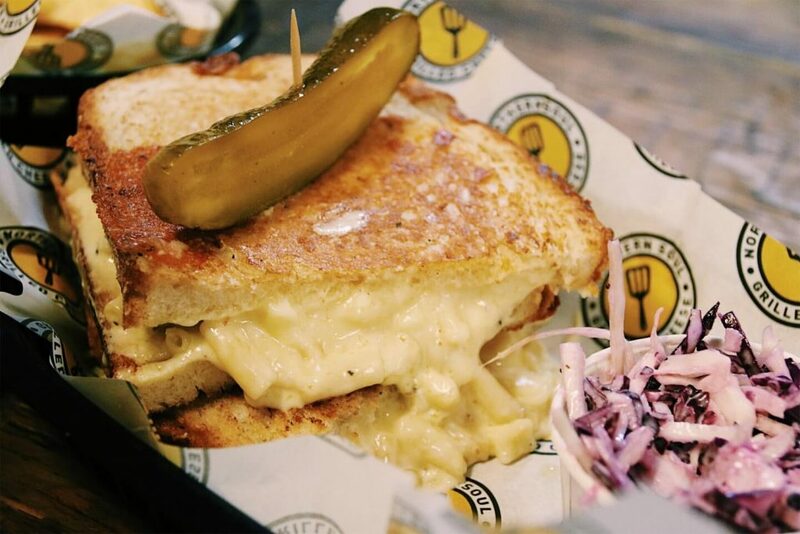 Located just outside the Northern Quarter you can get the best grilled cheese and mac&cheese in town. 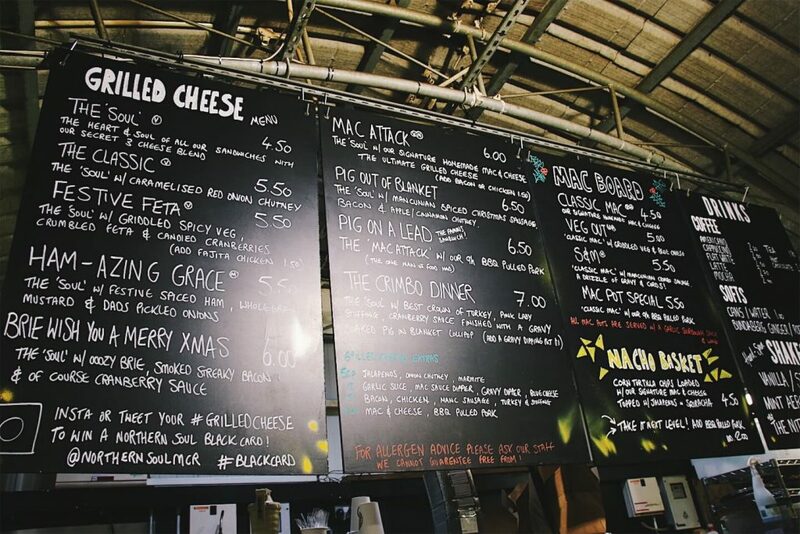 You can even combine the two and get a grilled cheese sandwich with mac&cheese (my personal fav). Manchester isn’t short of bars and pubs to spend your evening at. The locals love their pint and there’s more than enough places to have a cocktail in the city centre. Instead of sitting down and having a drink, we decided to do something a bit more exciting. 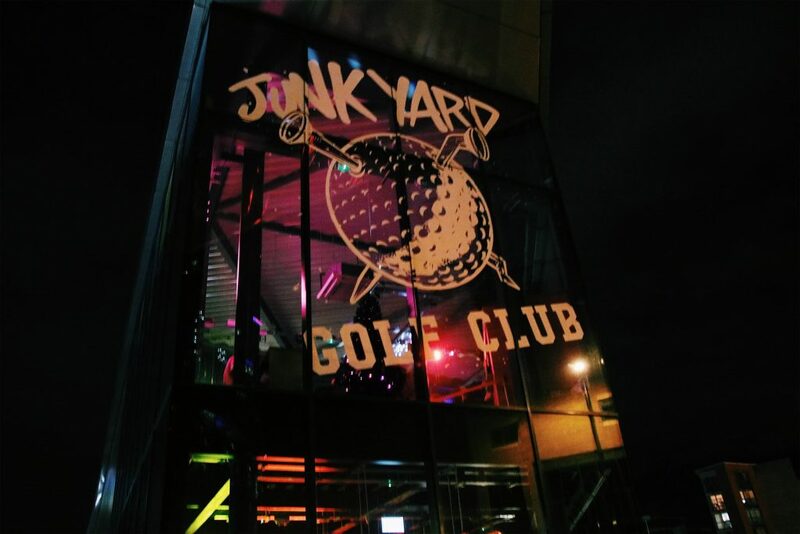 Junkyard golf is a mini-golf course/bar located near Deansgate train station. 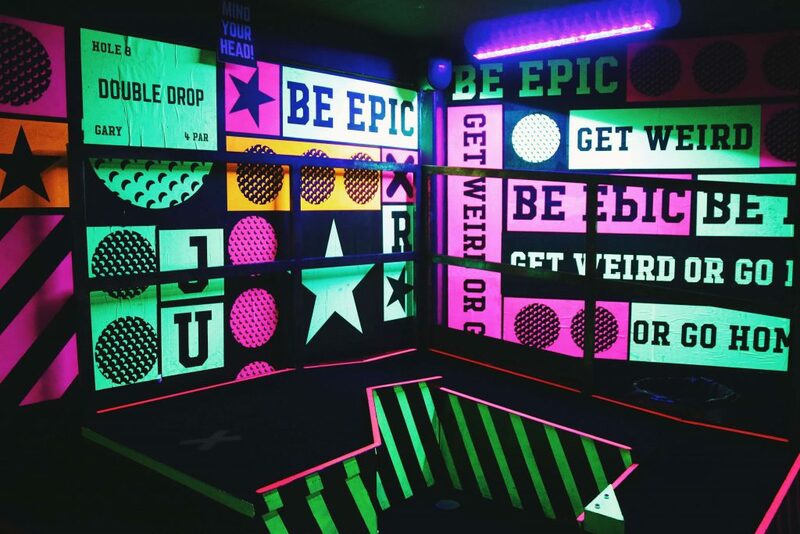 It feels like a bar or a club, but you get to play mini golf too! 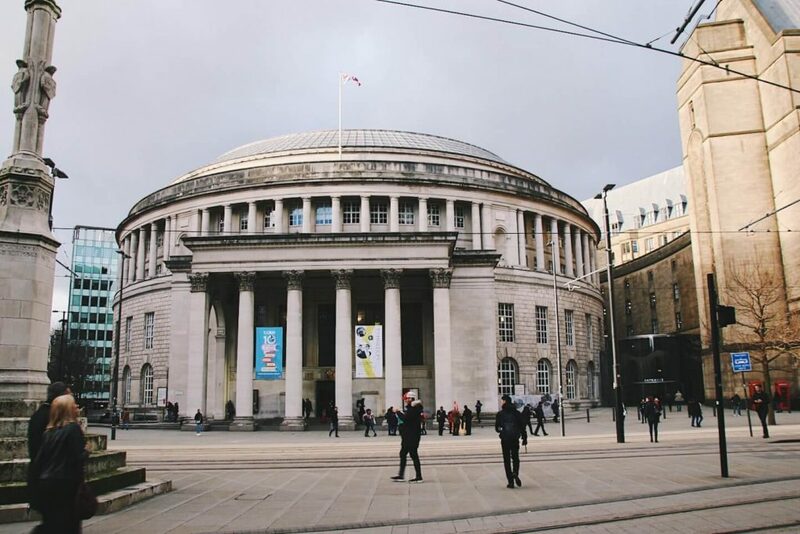 There’s so much to see and do in Manchester, it’s hard to pick and choose. These things can fill a great day in Manchester! If you have any questions or would like to see more about the city I now call home, please let me know! What would you like to do in Manchester? Sounds like there’s a lot of fab things to do in Manchester. 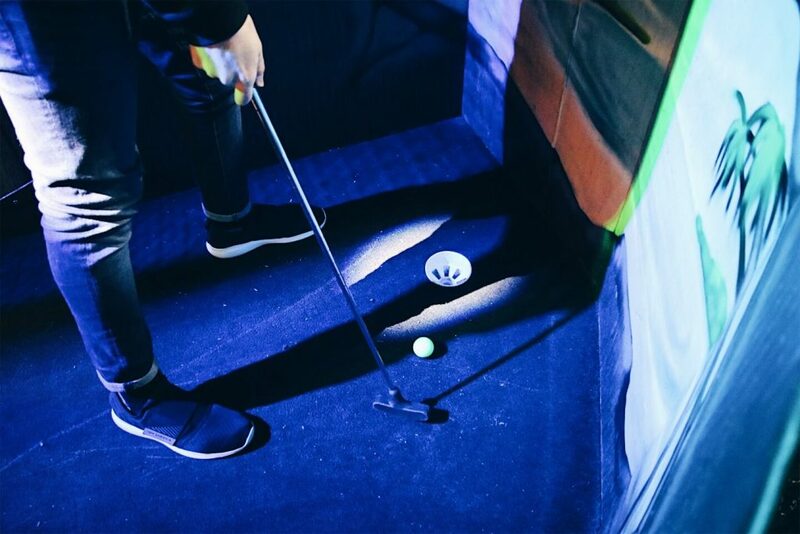 I love the look of the crazy golf! There’s so many hidden gems in this city haha! 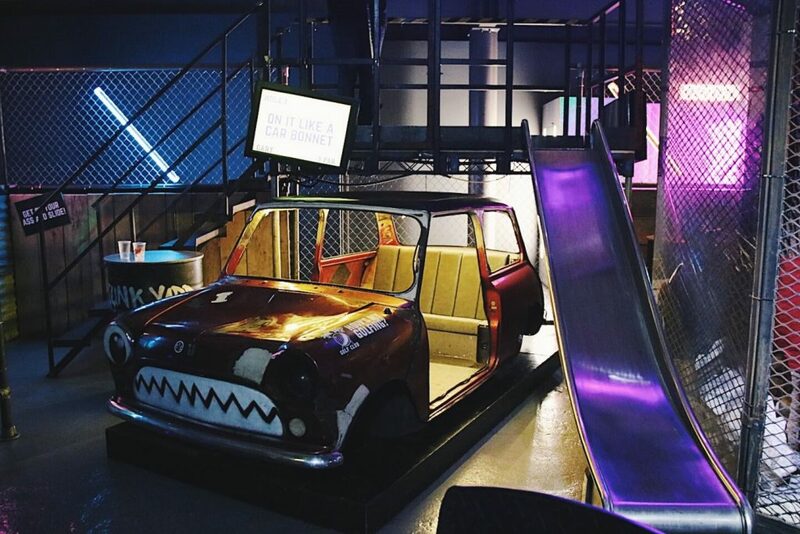 The golf place is definitely one of my favs, such a unique concept! Oh my god, there’s a grilled cheese place!!! 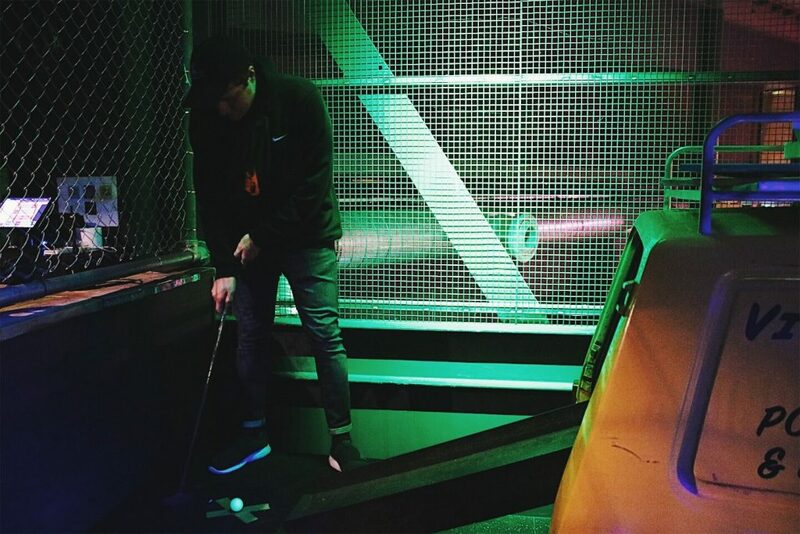 And a junk yard golf club, there’s one of those in London that I’ve been eyeing up for a while! 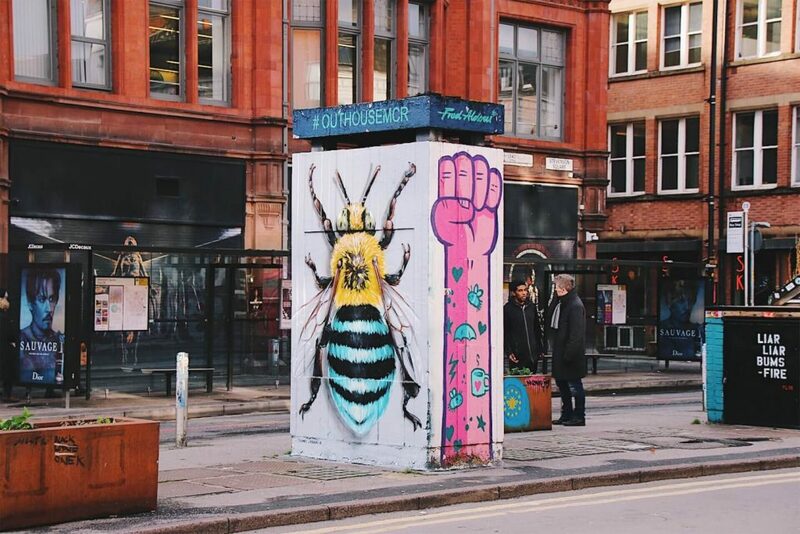 I’ve been to Manchester loads of times as my sister lives there but I’d actually have no idea where to go “as a tourist” – but I do like the northern quarter, I need to spend more time there. 🙂 Affleck’s Palace used to be my favourite!! Thanks for the suggestions! 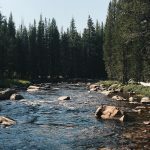 I’m visiting the UK this summer so I’m trying to check out cool places to visit.